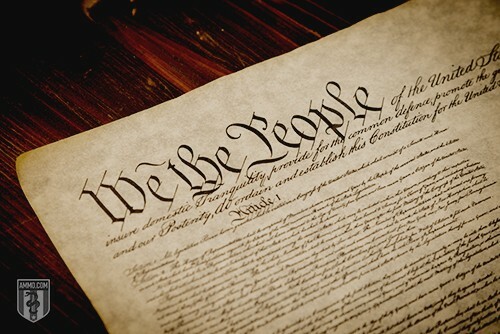 The United States Constitution is the supreme law of the land and the single most important American government document. It details the duties and responsibilities of the President and members of Congress, all who have sworn to protect and defend it. And most importantly, it determines the purpose and function of the federal government, as well as its relationship to the states and to American citizens. While the Declaration of Independence sparked the American colonists’ fight for independence from the British, it was the U.S. Constitution that laid the foundation for the new American government. Having just defeated one government, the Founding Fathers crafted this important document to explicitly limit the very government it created. They did this in order to protect your life, liberty, and property. This – along with the concepts of natural rights and negative liberties – was a radical idea that helped establish America’s place in the world as a “Shining City upon a Hill” and set the course for American exceptionalism. Today, children are given a cursory explanation of the importance of the Constitution to the nation’s history and heritage, but its current and ongoing role is often underestimated – especially in most public schools. That’s why it’s important to introduce your children to the Constitution. Let them explore its language, its meaning, and its consequences by exposing them to it and encouraging them to ask questions and make connections. By making it a conversation, you engage your children, get them interested, and build respect for both the document and what it stands for. Keep it age appropriate: As your child’s mind develops, so will his or her understanding of the Constitution. At a young age, children can understand that the document gives rules that people must follow, but they may not understand the consequences of the Bill of Rights. That’s why it’s important to keep things simple when you first expose kids to the Constitution, and let their understanding grow as they do. Understand natural rights: To have a clear understanding of the Constitution, you must understand natural rights. Natural rights are fundamental, inalienable rights that cannot be given or taken away. You are born with them, as is every other human, and they stay with you until you die. These natural rights are protected by the Constitution and are an underlying principle to its development. Because of them, the Constitution created the structure for a limited government – one with specific power assigned to each branch that acts under a subsidiarity principle of using the smallest, most local division of government possible. In this way, the Constitution recognizes and protects the natural rights of its citizens, limiting interference from its government. The importance of checks and balances: The Constitution separates the power of government into three different branches to ensure that no one person or group ever has too much power. 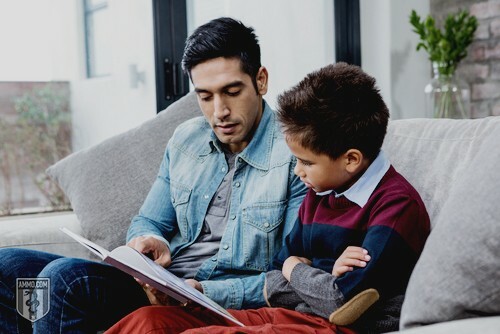 To understand the Constitution and the U.S. government, it’s necessary to understand the checks and balances, so be ready to answer questions your children may have on how the system works. Explore negative liberties: Much of the Constitution consists of negative liberties, which are rights to be free from interference of others. This means that the government will not prevent you doing certain things, such as practicing your religion, saying what you want, or peacefully protesting. These negative liberties mean that you are free to do them, but do not necessarily mean that you are capable of doing them or that it’s the government’s responsibility to make you capable. For instance, you have the freedom to assemble, but that does not necessarily mean that the government must provide you with the place or the means to do so. Negative liberties are often confusing to children and may take some time to explain. The U.S. Constitution establishes the U.S. government, enshrines the natural rights of its people, and places limits on what can and cannot be done. Less than 10,000 words in total, the Constitution is used to develop the laws that people live under and no law may be passed that contradicts the Constitution’s principles. Sometimes called a “living” document, the Constitution is able to be changed. Other than the first 10 Amendments, often called the Bill of Rights, there have only been 17 times during the last 200 years when Amendments have been made to the Constitution. The original Constitution was written in 1787, 12 years after the U.S. won its freedom from the British. Fifty-five representatives from each of the original 13 states (except Rhode Island) met to discuss what the Constitution should and should not contain. These men are referred to as the Framers and include George Washington and Benjamin Franklin. The Bill of Rights was added to the Constitution in 1791. What Has Been Influenced by the Constitution? While the Constitution has shaped the United States into the country and people that it is today, it has had a much further reach than any of the Framers anticipated. That’s because even though the United States is young as a nation, its Constitution is one of the oldest and has some of the most succinct, yet impactful language. The U.S. Constitution, unlike others before it, made people rethink their own political systems and the role that government should play. From borrowed phrasing to the idea that the government should have the consent of its people, the Constitution has had a worldly impact. The Constitution had a direct impact on the French Revolution and the National Assembly that was formed afterwards. Many of the countries in Southeast Asia were influenced by the U.S. Constitution and drafted their own with similar principles. Malaysia built a government with three branches to keep any one from growing too powerful. The ideas of natural law and negative liberties played a large role in the decolonization of Africa, and the establishment of its own governments. The U.S. Constitution contains three different parts. The first is called the Preamble, detailing the purpose of the document and the government it establishes. The second part consists of seven Articles, which discuss the government structure and how to make changes to the Constitution. The last part of the Constitution is the Amendments, including the Bill of Rights. Article One of the Constitution creates the Legislative branch of government and the two parts of Congress, the House of Representatives and the Senate. These are the constructs that are responsible for making laws. Article One details who is allowed to become a Representative and Senator, how the election process works, and how often they must meet. Here are some additional items found in Article One. Section 7: Section Seven details how bills become law. It also describes the veto process and how presidential vetoes can be overridden. Section 8: Section Eight is what allows Congress to establish and maintain the Army and Navy, as well as post offices and courts. Section 10: Section 10 details that the States are not allowed to make their own money, tax goods from other states, or declare war. Article Two also details some of the President’s responsibilities, including being the Commander in Chief of the Armed Forces, pardoning criminals, choosing Supreme Court judges, and making treaties with other nations. Per the Constitution, the President must address the nation in a yearly speech and meet with ambassadors and leaders from other nations. This section of the Constitution also discusses the process of impeachment, which details how the president can be removed from office. Article Three establishes the third branch of the U.S. government, the Judicial branch. It establishes the Supreme Court and states that judges can, if they so desire, serve for life. This article discusses the role of the Court in law and guarantees citizens the right to a trial by jury in criminal court. It also defines treason. In Article Four, the Constitution details the role of states in the government. It says that all states must honor other states’ laws and citizens, and that states must return fleeing criminals to the state that he or she fled from. It also discusses how a new state can join the nation and how federal lands are controlled. Because the Framers knew that the Constitution had to be flexible, Article Five was added as a way to make changes, also called Amendments, to the document. For an Amendment to be added to the Constitution, it must pass a ⅔ vote from the House of Representatives, a ⅔ vote from the Senate, and a ¾ vote from the states. While hundreds of Amendments have been suggested, only 17 have passed. Article Six states that the Constitution and its laws, as well as the treaties of the United States, are the supreme law of the country. It also requires all U.S. officers and officers of the states to swear an oath of allegiance to the United States and the Constitution. The last of the original Constitution, Article Seven details how the Constitution came to be. It says that of the original 13 U.S. states, nine had to accept the Constitution before it could become valid. It’s signed by 39 of the 55 original Framers. The first 10 Amendments to the Constitution occurred in 1791, just four years after the initial draft of the Constitution. These 10 Amendments are often called the Bill of Rights, which detail the rights given to all Americans and those the government cannot take away. The Second Amendment reads, “A well regulated Militia, being necessary to the security of a free State, the right of the people to keep and bear Arms, shall not be infringed.” This is the amendment that gives American citizens the right to keep firearms. There is much debate among the pro-Second Amendment advocates and those who favor gun control as to whether the Second Amendment applies to individuals or militias, but thus far, the Supreme Court holds that it does give the right of gun ownership to individuals. The Third Amendment to the U.S. Constitution states that the Army cannot force themselves into someone’s home and demand room and board. The Fourth Amendment protects Americans from unlawful search and seizures. That means no government agent is able to look through or take someone’s property without a valid warrant, which is based on probable cause. This Amendment also includes the illegal search and seizure of people. That means without a warrant, an individual is not allowed to be frisked or arbitrarily arrested. The Fifth Amendment protects criminal rights. It states that no one should be held for committing a crime unless properly indicted, that you can’t be tried for the same crime twice, and that you don’t have to testify against yourself. This Amendment also states that punishment shall not occur without the due process of law. The Seventh Amendment guarantees a jury in federal civil court cases. This Amendment also sets certain limitations upon judges and their ability to override the jury. With common law cases, it is the jury who decides the verdict and the judge who determines the penalty. Again discussing the rights of the accused, the Eighth Amendment states: “Excessive bail shall not be required, nor excessive fines imposed, nor cruel and unusual punishments inflicted.” This means that punishments should be fair, fit the crime, and neither cruel nor unusual. It also means that legal fines cannot be set so high that only the wealthy could afford to pay them. The Ninth Amendment is a catch-all, and basically states that there are fundamental natural rights that people have, beyond what is listed in the Bill of Rights, and that those rights, too, shall not be infringed upon. These rights are called unenumerated rights, and are protected even though they are not specifically listed in the Bill of Rights. 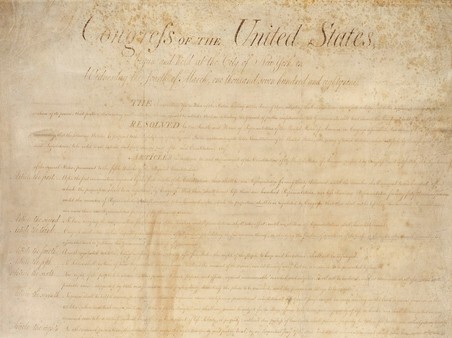 The Tenth Amendment to the U.S. Constitution states that unless it is delegated or prohibited within the Constitution, it is up to the State and/or the people to decide. This Amendment establishes the relationship between the federal and state government, detailing who is in charge of what. In the simplest terms, if it’s dictated by the Constitution, it’s a federal matter. If it’s not, then it’s a matter for the states to handle and the federal government should not be involved. Pervious to the Twelfth Amendment, the electoral college elected both the President and the Vice President based on voting. Although someone running for President would have a running-mate, it was not always running mates who would get elected, but sometimes individuals from two different party tickets. With the Twelfth Amendment, it became possible for the electoral college to vote for a team, instead of individual candidates. The Thirteenth Amendment abolishes slavery in the United States. While Abraham Lincoln’s Emancipation Proclamation freed the slaves in the South, it stated nothing about the slaves held in the states that remained part of the Union. That’s why, after the Civil War ended, Congress passed the Thirteenth Amendment to the Constitution, stating that neither slavery nor involuntary servitude are permitted in the United States. The Fourteenth Amendment is a direct consequence of the Thirteenth Amendment and the ending of slavery in the United States. This Amendment states that every person born in the United States is a U.S. citizen and therefore has rights at both the federal and the state level. The Fourteenth Amendment has played a large role in the equal rights movement over the years and was utilized in the ending of segregation in the United States. The Fifteenth Amendment states that U.S. citizens have the right to vote regardless of race and gave African Americans the right to vote and hold office. The Sixteenth Amendment allows the United States government to implement and collect an income tax. Previous to this, federal income taxing was deemed unconstitutional per Article One of the Constitution. This Amendment has since been the basis for all federal income tax legislation. Per the original Constitution, the state legislators picked the states’ Senators, but with the passing of the Seventeenth Amendment, Senators became elected officials. This filled empty Senate seats faster and limited the influence of special interest groups. The Eighteenth Amendment made it illegal to make, distribute, sell, or consume any alcoholic beverage. Beginning the prohibition era, the Eighteenth Amendment was meant to reduce crime, lower the need for “poorhouses” and prisons, and improve the health of Americans. While this Amendment did initially reduce the amount of arrests and hospitalizations related to drinking, it also had unforeseen consequences. The manufacturing and distribution of alcohol became a lucrative black market business and grew a huge illegal market. It strengthened organized crime and made many, previously law-abiding citizens, disrespect the government’s authority. The Nineteenth Amendment states that the right to vote shall not be denied due to the [gender] of the voter. It is the Nineteenth Amendment that gave women the right to vote and hold elective offices. The Twentieth Amendment moved the Presidential Inauguration day from March 4th to January 20th. It also moved the changing of elected Senators and Representatives to January 3rd. The Twenty-First Amendment repealed the Eighteenth Amendment and ended the prohibition of alcohol. While the original Constitution sets the rules for the presidency, it did not set a term limit. George Washington turned down the opportunity to serve again after being elected President twice, as had most of the presidents following him. Until 1940, when President Franklin D. Roosevelt ran and won a third term. And then a fourth term in 1944. After his death, the Twenty-Second Amendment was enacted, stating that an individual can only serve two terms as President. The Twenty-Third Amendment granted the citizens of Washington, D.C. the right to vote in the presidential election. It gave the District three electors, a nonvoting delegate in the House of Representatives, and an elected local government. Previous to the Twenty-Fourth Amendment, some states charged a poll tax to voting citizens. This tax kept many low-income citizens, both white and black, from the voting polls. The Twenty-Fourth Amendment prohibited any taxation or charge to vote in a federal election. The Twenty-Fifth Amendment explains the process when either a vice president needs to be replaced or when a president is no longer able to perform his or her duties. This amendment has been used when a president must undergo sedation or surgery, giving the vice president temporary control. The Twenty-Sixth Amendment lowered the voting age from 21 to 18. It came about due to the unpopularity of the Vietnam War and the military draft. Many thought it unfair that young men were old enough to be drafted, but not old enough to vote. The Twenty-Seventh Amendment states that any law that increases legislators’ pay will not take effect until after an election. This makes it more difficult for Congress to vote themselves a raise and makes them consider what the voters think before implementing pay raises. With a basic understanding of the U.S. Constitution, you can expose your children to it and let their understanding of it grow as they do. What a five-year-old needs to know about the Constitution is much different than what a 15-year-old should know. But what’s important is that you get them interested. You let them explore it. You teach them its importance. And then, as they grow and are able to understand it deeper, you revisit it, again allowing them to explore, ask questions, and seek answers. Through exposing kids to the Constitution, you’re not only teaching them history, law, and government, but you’re also teaching them about rights and liberties, and what it means to be an American.